World Junior fans often wait in anticipation (OK, mostly just Canadians) to see if any U20 NHLers will be loaned to their respective countries for the two week tournament. Canada's been fortunate to receive Curtis Lazar from Ottawa and Anthony Duclair from the Rangers, but we've also seen Mirco Mueller loaned to the Swiss from San Jose and David Pastrnak for the Czechs from Boston. Not the big name talent we've seen loaned in previous years, but for these kids to go from playing pro with men to a tournament with their peers is a big boost for their countries medal hopes. Often a lot of the talk is about "who could be there" and there's 9 standout U20's we won't get to see tear up the juniors this year as their sticking with their NHL clubs for the holidays. Burakovsky was a point-per-game player last year in Malmo with 3 goals and 7 points during the tournament as he helped the host nation capture a silver medal, but this year he'll be staying pro. Burakovsky started the season hot with 2 goals and 8 points in first 9 games, but has since struggled and recorded only 1 goal in his past 11 games while seeing his ice time decrease. Even stranger, the 19-year-old has been sent down to Hershey in the AHL which has the Swedish Hockey Federation fuming. Really not sure what the Capitals play is here if they're not going to use him in Washington they might as well give him a two-week confidence booster. Ailed by a hip/groin injury that only allowed him to play in 4 games for the Dallas Stars this year, the big Russian underwent surgery in November and likely won't be back on ice again until April. It's a big loss for the Stars as he potted 14 goals and 34 points last year and he likely wouldn't have been considered for loaning in 2015 as the team did not make him available last year either. Nichushkin at the World Juniors certainly would have been fun to see as the 19-year-old and Sochi Olympian has some highlight reel goals in him using his big frame and slick hands. 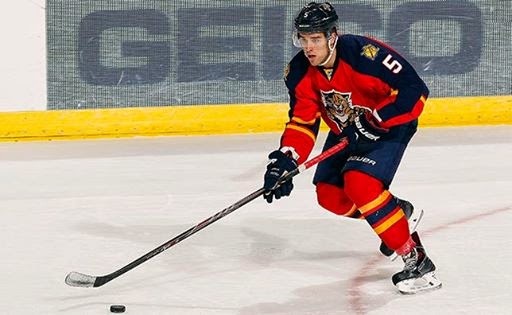 The 2013 3rd overall pick made his World Junior debut last year to the tune of 3 goals and 9 points as Canada finished a disappointing 4th and there will be no redemption for Drouin this year as the Lightning are keeping him. Despite missing the first 5 games of the season with a broken pinky and 4 games as a healthy scratch, Drouin has recently found himself sliding one-timers to Steven Stamkos and is thus unavailable for loan. The 19-year-old has 2 goals and 14 points in 26 games this season while averaging 13:28 TOI/game, but has since seen more ice time and powerplay time which makes it an obvious choice to keep him in Tampa. The Vancouver Canucks opted to keep the 19-year-old on their 4th line where the Canadian has seen an average of 10:15 TOI/game through 19 games this season. Horvat played in the tournament last year and recorded a goal and 2 assists and this season with the Canucks he's notched a goal and 4 assists. Vancouver likes the way he's developing so they'll keep him on the West Coast as they groom him to become a top-six forward for their future. The 6'5" Russian defender was a standout last year at the World Juniors to lead all defencemen in goal scoring with 4 goals and would have been a huge boost to the defending bronze medal winners. While the Sabres are a struggling team, they also have quite a few defensive injuries that require Zadorov to stay with the team where's he playing 18:43 TOI/game and has 4 points in 22 games. Even more impressive of the 19-year-old is that he's got the top +/- of all Sabres d-men this season. The Calder Memorial Trophy winner from last year was not made available last year and will not be loaned this time around either as he is one of the Av's top scorers with 5 goals and 20 points in 32 games. While MacKinnon is off to what some might consider a slow start this year and has just 1 goal and 1 assist in his last 19 games, he is still an impact player and his shooting percentage should go up from 5.1%. It's hard to believe he is still eligible for the tournament and it would have been fun to see him play alongside Connor McDavid on the world stage. Barkov has struggled mightily this year while dealing with knee and hand injuries that have seen him limited to 4 points in 22 games played. Barkov is playing just under 17 minutes/night and while he may not be producing offensively as hoped there is no way the Florida Panthers are shaking up their line-up while battling for a wildcard playoff spot. Barkov wasn't released last year and Finland won the Gold Medal so the Panthers have no qualms with him not going again this year. In an interesting decision, the last place Edmonton Oilers will be keeping the 2014 3rd overall pick over the holidays. Draisaitl has played in the tourney the past two years and had quite the fantasy line in 2014 with 2 goals, 4 assists and 52 PIMs through 6 games. The 19-year-old is playing 12:42 TOI/game and has 2 goals and 7 points in 33 games played. Nobody knows what the Oilers management are ever doing and not loaning the kid to at least win a relegation game over Denmark seems like a bad move. The youngest regular in the NHL will not be repping the Maple Leaf this year as he's having a solid season with the Panthers and having his name tossed around as a Calder candidate. With 5 goals and 19 points in 31 games, Ekblad is 3rd in rookie scoring and is one of the top playing rookies with just over 22 minutes/game. Ekblad has been a rock on the Panthers blueline and given their position in the standings it's an obvious choice to keep him in the best league in the world.